"Sold My Soul To Yo Mama" was a song written mostly by Joe Hahn in 2004 and released on the LP Underground 4.0 CD. 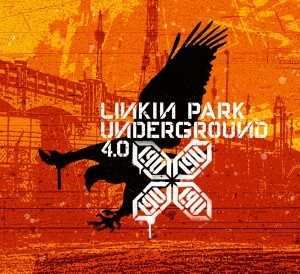 It samples "Points Of Authority", "Ppr:Kut", and the Collision Course DVD and contains an instrumental reference to "Somewhere I Belong". On the CD case, Mike Shinoda wrote: "Joe's instrumental song "Sold My Soul..." is a landmark: usually we work on instrumental LP songs together. However, Mr. Hahn put the majority of this track together on his own (that's my boy... *sob*)." "Sold My Soul To Yo Mama" was a working title the band decided to keep. Samples "Points Of Authority", "Ppr:kut" and the Collision Course DVD. Lacks the transition to "Breaking The Habit (Live)." This page was last edited on 31 October 2017, at 22:47.